Universal Standard is “going blue” for Cyber Monday with Blue Jeans Go Green upcycling denim to help places in need. Donate two jeans, get one free! As we hype up Cyber Monday deals after Black Friday, we have one to add to the list that’s not only a good deal but does good too! We’ve talked about Universal Standard a hundred times and they never cease to amaze. This time we are shining the light on some of the good they are doing for the world, and for us with this initiative. The size-inclusive fit experts are holding their second annual Denim Drive on Cyber Monday, the biggest online shopping day of the year! All benefits will benefit the non-profit denim upcycling program Blue Jeans Go Green. Support a great cause on top of getting great product! On Cyber Monday, for every two pairs of denim you donate for the recycling program, Universal Standard will give YOU a FREE pair of their signature denim! I said free, right? FREE! All you have to do is pay for shipping! Is this even for real?! Universal Standard’s mission is: FASHION FREEDOM. It’s the idea that style, quality, and fit should be accessible to all women, regardless of size. The initiative reinforces the mission, by creating a program and teaming up with a brand– all while allowing us to reap some of the benefits! Normally these signature jeans are valued at $90-$100, so when they say free… it is QUITE the deal! 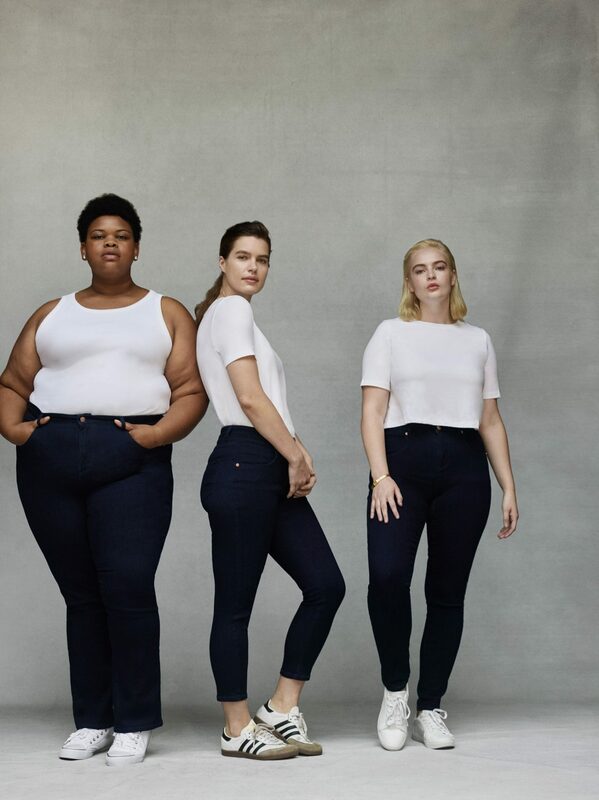 Universal Standard’s denim is specifically engineered for a peeeerfect fit and unreal comfort, with built-in stretch (tell me that doesn’t sound like THE perfect pair of jeans?!). Now you can get a pair of these jeans just for the cost of shipping? Oh yes, sign us up! What is denim upcycling @ Blue Jeans Go Green? Just so you know, this is Universal Standard’s second partnership with Blue Jeans Go Green! This organization is a non-profit dedicated to upcycling jeans, jackets, shirts, skirts and more, into UltraTouchTM Denim Insulation made from 80% post-consumer recycled denim. Did you know that denim insulation helps in-need communities all over the country? Who knew! Blue Jeans Go Green has created over 4,000,000 tons of denim insulation and diverted 2,000,000 pieces of denim from landfills. Talk about upcycling for a great cause! You can participate in the Universal Standard Denim Drive at UniversalStandard.net! All it takes is selecting your fave pair of jeans from the denim drive collection on Universal Standard, apply code: DENIMDRIVE at checkout, and pay $15 for a shipping label to send in two pairs of jeans! Shopping, giving back, and looking great while doing it! Sounds great… right?